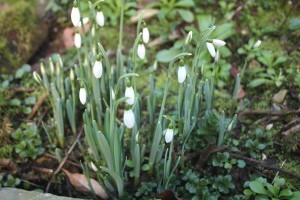 ……………….and the Boxing Day snowdrops did not disappoint! White camellias, delicate winter cherry blossom, tiny hellebores all swiftly followed, each opening coyly beneath a leaden sky; surely a sign that spring will return once more. 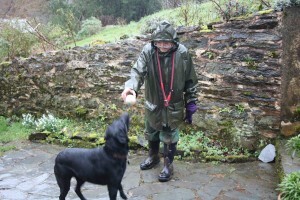 As I trudged through the December mud, head down in the relentless rain, I was in danger of losing the faith! But just as the New Year has dawned so the rain has stopped. The sun returns, the hillside slowly drains, grass begins to grow and gradually the daylight hours lengthen minute by minute. 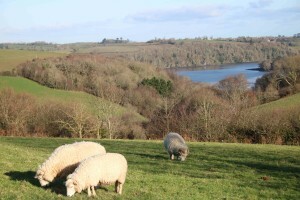 The ewes graze quietly on the hilltop, Dartmoor misty in the distance, the River Dart drifting by quietly beneath them. We hope young Hercules has done his duty and in time strong, healthy lambs will be greeted by spring sunshine. Meanwhile right now the yearlings, feisty youngsters, are intent on eating anything just out of reach through their boundary fence, despite having plenty of grass in their own field. Sweet blackberry leaves seem favourite. 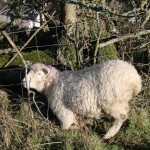 Time after time, in the last two days, Milly and I have found a little girl with her head firmly stuck through the stock wire as she tries to reach that tasty morsel. Panicking as she finds herself trapped, she pushes back and forth dancing manically. We must look a funny sight as I straddle her back in an effort to hold her still between my knees, then push her nose up and tip her head back through the wire to freedom. She gives herself a big shake then bounces back to her pals as I stand panting looking round for Milly. I spot her a few yards away sitting very still watching me intently with her head on one side in that particular Labrador pose which seems to say “What’s up?” “It’s OK, Mill,” I gasp as I stagger on across the fields! This New Year brings with it other things too, global anxieties, uncertainty across the world. Here in the UK we are totally consumed with Brexit and our future relationship with Europe. We all have our view; we are all bombarded by Press speculation and opinion. But none of us can do anything but wait for our politicians to stop squabbling and come to some sort of consensus that is truly in our countries interest with, hopefully, Europe in support of their decision. Meanwhile Mrs May soldiers on. We, the public, seem strangely powerless within our own democracy. Across the ocean Mr Trump is intent on having his own way too, shutting down the US government as he demands funding for his Wall and withdrawing troops needed to promote peace across the world: all is turmoil and chaos. Feeling helpless in this global mayhem we walk across the hills with our dogs, tend our sheep, enjoy dear funny donkeys. 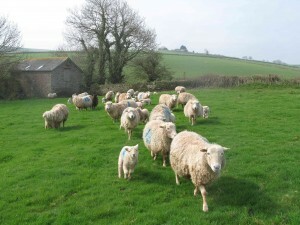 We prepare for lambing, sweep the yard, mend fences, cut hedges, clean out sheds, service tractors. 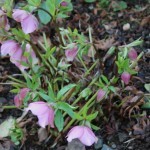 We plant seed, take cuttings, make plans for the charity summer garden openings. 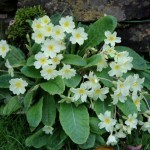 We prune and tidy, sweep and clean. We rejoice in our dear family and many , many friends and try to hold the faith that some sort of world sanity will eventually return! Let us hope 2019 will be better than we fear! A recent week in La Rochelle and the Ile de Re, C17th protestant stronghold of France, and a local history lesson of the region reveals I am a descendant of one of the largest number of “Refugie” to ever enter this country! Indeed the very word comes from our arrival in Britain : somewhere between 20 to 50,000 of us! And in 1700 the population of England was just 5.1million. Oh my, in these Brexit riven days, what would we make of those numbers now flooding in from just across the water?! How welcome would my forbears be today, I wonder!! The Huguenot Henry of Navarre, later to become the Catholic Henry IV, did his very best to bring religious tolerance to France in 1598 but, alas , his grandson, Louis XIV, revoked the Edict of Nantes in 1685 replacing it with the Edict of Fontainebleau and my forbears were forced to flee or face certain death. Sound familiar?! My maternal grandmother, Alice Margaret Teulon’s ancestor Antoine Teulon did just that aged 20 in 1689. He came to Greenwich and set himself up as a successful hatter and felt maker. He was naturalised British in 1708 and married Ann Defaux. Some ten generations later I read about Teulons who became printers, preachers, architects, engineers, booksellers and, intriguingly, adventurers; must find out more! 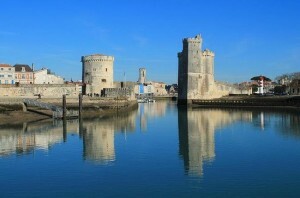 As I gaze at the beautiful harbour at La Rochelle it is hard to imagine the terrible siege and sea battles fought all those years ago. 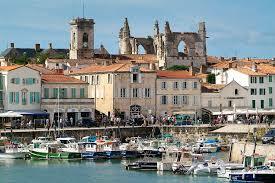 On a happier note we visit the pretty town of La Flotte on the Ile de Re, sit with our old friends by the water’s edge drinking a glass of wine in the setting sun. 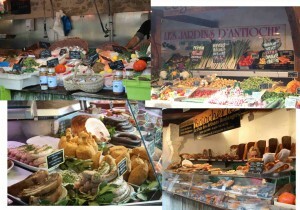 We visit the market and once again I ponder why our local markets are so lack lustre compared to France. And of course we eat delicious food day after day; oysters, moules, great big crevette and so much more. But of course the highlight of my stay was none of these things. 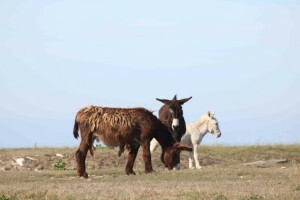 The Ile de Re is the home of the Poitu donkey : great big scruffy fellows with huge ears and traditional long matted coats or “cadanette. 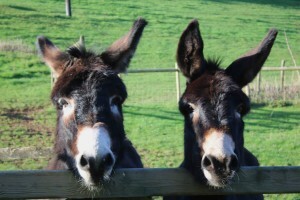 The males or baudet, pronounced “bo-day”, are one of the biggest breed of donkeys reaching up to fifteen hands: the mares or anesse, just a hand smaller. 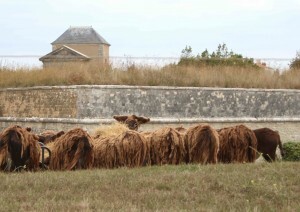 I jump from the car and race across a busy main road dodging the traffic to try to capture a large group of them with my camera as they stand in a huge circle eating hay on rough ground outside the C 17th fortifications of St Martin-de-Re. 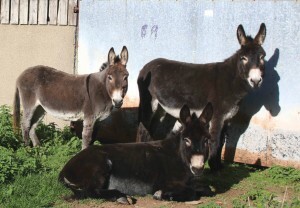 For hundreds of years these beautiful fellows were bred for mule breeding some three hundred miles south west of Paris, not always with the best care. Locally they are still famous for their work on the salt marshes on the Ile de Re hauling huge carts of the famous Sel de Mer from the water’s edge, their legs protected from the salt by strange baggy stripped leggings. They were exported to many countries and the mules bought by armies across Europe to pull guns carriages, move supplies and transport troops. But, alas, by the 1950 the breed had all but died out. Mechanization had rendered them redundant. They were replaced on the salt marshes by tractors and by tanks and lorries on the battlefield. Herds were sold or killed; they became seriously endangered. Between 1949-1977 their numbers had fallen from 281 to just 12. And then in 1988 things began to change. Jaques Fouchier, former Minister for Agriculture set up SA-BUAD to save the breed from certain extinction. 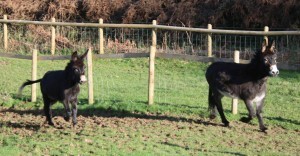 He was joined by the Parc Naturel, breeders, national studs, research scientists and by Elisabeth Svenson founder of our own Donkey Sanctuary in Sidmouth, Devon. Thanks to them a wonderful breed has been saved. As I look at my own new boys from the Sanctuary I cannot but wonder if big Christos may have just a touch of Poitu blood. Look at those huge ears! 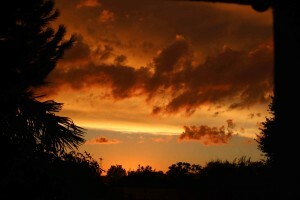 I watch in fascination as a high wind drives sheets of rain horizontally across the valley. Trees bend double. Then suddenly the wind drops and thundery rain threatens to engulf me. Encased in my winter waterproofs, hood pulled down over eyes, I struggle with Millie up to the yard on this wild, wet, windy August Sunday morning to feed animals before church. The chickens will have to stay in their shed. Their run is already beginning to turn to a mud slide. Good thing I saved all sorts of old deliciousness for them when I cleaned out the deepfreeze earlier this week! It is nearly time to move them back to their winter quarters in the farmyard where they can spend their days roaming free in the fields, provided of course, that M. Reynard has moved on to pastures new. 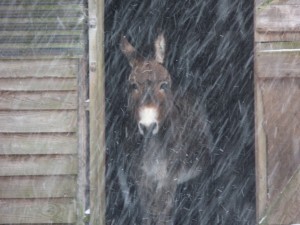 I must give the donkeys plenty of straw and shut them in their big barn out of the torrent. These desert animals are not waterproof like their equine cousins and their feet soak up moisture like sponges. I fill their trough with straw and they nuzzle me gratefully before tucking in. The new boys have settled in now and dear old Nutmeg has taken on a new lease of life with her feisty, affectionate new companions. Millie and I return to the house soaking wet and covered in straw! Summer seems to have come to an abrupt end but the harvest continues. 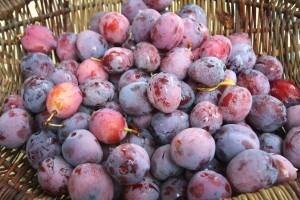 Dittisham plumbs came and went very fast. A mixture of extreme heat and sudden light showers caused them to rot on the trees. But a row of plum jam sits in the larder and a few bags are stashed away in the freezer for winter crumbles and plum tart. 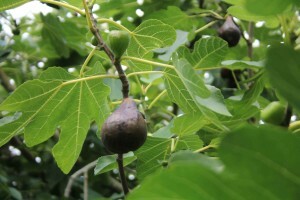 It is the figs that are beating me right now. No sooner had I poached a batch in syrup than another crop appeared: great big fat Brown Turkey’s, quite delicious and a special treat. Thank goodness they freeze so well! Beans are already over. It was a race to pick and freeze as the prolonged summer drought accelerated their demise. And courgettes turned into giant marrows overnight in the searing heat; a bonus now for hungry chickens. But despite this, a good crop of little fellows found their way in to many meals and, of course, the deep freeze too. 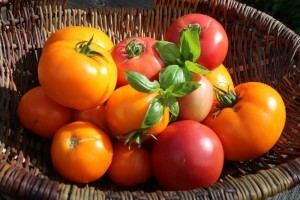 Tomatoes continue to amaze! 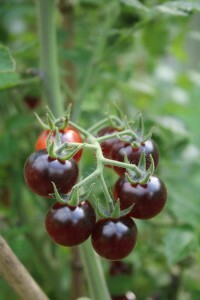 Such a fantastic crop this year, and all tasting quite sublime as they gloried in the extreme greenhouse temperatures. One huge “Orange Wellington” will make a lunch for two topped with chopped basil, salt and pepper, a touch of Virgin Olive Oil and a slice of “Almond Thief” sour dough bread from the bakery in Dartington or Sally’s Deli in Dartmouth; delicious! And the little Sun Cherry chaps make a wonderful salad. Even the strange “Indigo Blue” improved as they ripened. Kings of Colour, Green Zebra and still more Orange Wellington go into the oven with courgettes, onions, shallots and garlic. Cooked gently till soft I let them cool then freeze them for a myriad of winter meals. 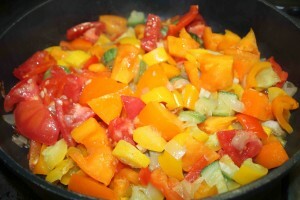 They will become lunchtime soups, sauce for pasta suppers, an accompaniment to quickly fried fish. 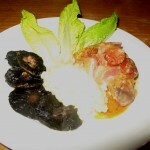 They will enrich stews instead of the ubiquitous tinned- toms, cheer up sausage and mash on a cold November evening and join those frozen beans to accompany some of our own Whiteface Dartmoor lamb: no end of possibilities! 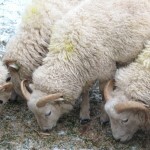 Five wethers went off to the butcher recently. I wondered whether my regular customers would still be interested in these vegan, vegetarian fuelled times. But within an hour on the phone my fears were unfounded and I almost forgot to save enough for ourselves! It seems that people do still put huge store by the provenance of their food despite all that we read in the press. 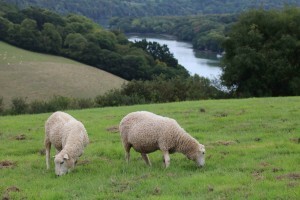 And I do have to say that Whiteface hogget, properly bred, fed, butchered and cooked is not called Angel Meat on its native Dartmoor for nothing, provided, of course, you are a meat eater! 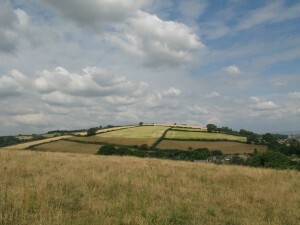 All the fields are topped at last and swathes of rich green grass are revealed as the drought burnt sward is cut away. 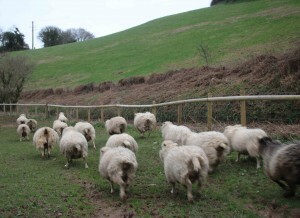 Ewes and their newly shorn lambs race through gates to get to lush pastures new at last. We can almost see the grass grow in the warm rain, so good after weeks and weeks of staring helplessly at a brown parched landscape. This very strange year continues: snow in March, torrential spring rain and now soaring temperatures and the most severe summer drought for nearly fifty years. 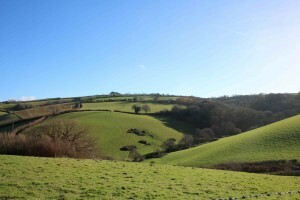 It’s as if we dreamt of our tractor stuck in snow drift, wellies coming off in the mud, water draining off the fields, the stream overflowing its banks and roaring through the valley. And now this: no rain for weeks, a parched brown landscape, no grass, nothing green at all. Straw and hay prices rocket; farmers feed next winters’ forage to livestock. The stream is drying up. 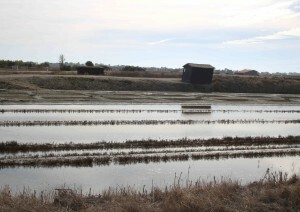 How long, I wonder, will it be before the spring water feeding our troughs in the fields runs dry? Each day Millie and I climb the hill to the top fields searching for dusty hot sheep and fat unshorn lambs. In the day they lie huddled in the shade of the hedgerow around the water troughs trying to keep cool. They creep out at dusk to munch the dry chaff left on the fields in the cool of the night. I try to tell them the rain will return. 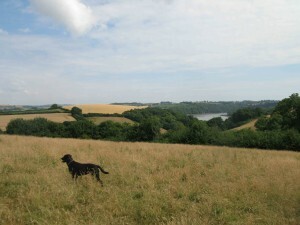 Millie races across the fields chasing imaginary rabbits. They are gone; the fox was there first. I watched him pacing the parched landscape in the heat of the day. He’s hungry too I warn the chickens. 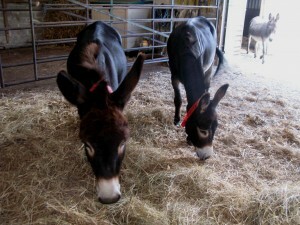 It was four weeks ago today that I went up to the yard as usual on a Saturday morning to see my two donkeys. They too had been grazing at night and spending the day in the cool of the big barn. 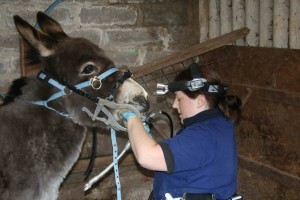 Gemma, the equine dentist, was due to arrive at 9.30. I walked into the barn and saw a forlorn little Nutmeg. There beside her lay dear old Luke, dead in the straw. 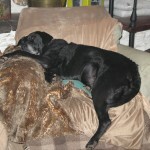 No warning, no sign of illness; just a very old boy who left us suddenly in the night: peaceful for him, shocking for me. Donkeys are prone to hyperlipaemia when a companion of many years dies so it was important to leave her with Luke until we could arrange for him to be taken away on Monday. 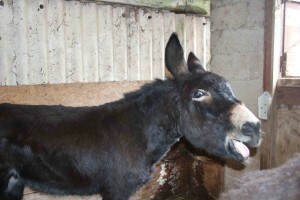 I spent the weekend back and forth to the yard checking her by the hour and on the phone to the Donkey Sanctuary. Ten days later a horse box rolled into the yard and my new boys arrived! Nutmeg wasn’t sure; at first she eyed them suspiciously. But curiosity got the better of her. 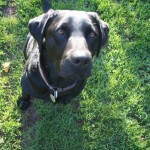 Her ears pricked up again at last, she tossed her head and cantered across the field with them. I held my breath but all was well. Then, for a week or so, she kept her distance eyeing them from afar. But bit by bit she moved in to have a closer look. 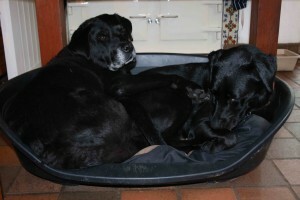 Slowly she is bonding with Christos and Tiny Freddie, two big gentle youngsters. A new era has begun. 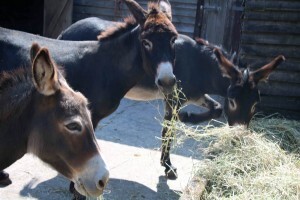 Meanwhile as donkeys settled in together the days flew by to our Village Open Garden Weekend in aid of the National Garden Scheme Nursing Charities. The Community Bus was booked, the volunteer drivers recruited. The local garden centre, Garden Time, donated the scones. The Dartmouth Dairy gave us kilos of clotted cream and gallons of milk once more. Tea would be served in the Village Hall. Friends rallied round to serve and wash up and we were even lent a field as an extra carpark. And of course the gardeners were the heroes of the hour. 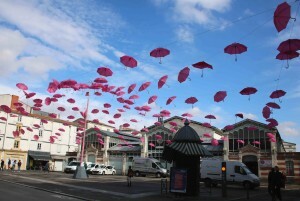 Without exception they had been working towards this moment for months through all the vagaries of this year’s extraordinary weather conditions: a challenge indeed! 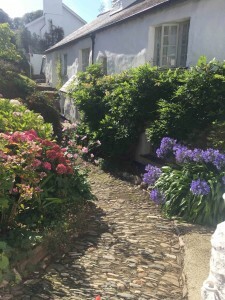 Eight glorious village gardens, each with stunning river views and all quite different from one another, opened their gates to visitors from all over the country. And the people did indeed flock in. They came from far and wide clutching the NGS Yellow Book. We had nearly two hundred visitors and raised well over £3000, an astonishing amount of money for charity in the two afternoons; altogether a huge success. It is said one should be careful what one wishes for: today, suddenly torrential rain glides sideways across the parched valley! 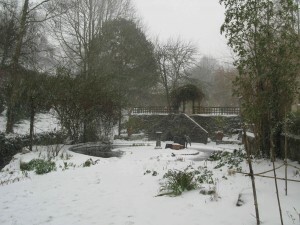 What a strange year it has been: March gave us snow…… in Devon! April followed with bitter north winds and plummeting night time temperatures tempered with occasional bursts of uplifting sun. Now at last May slowly warms us. The valley is exploding into colour, everything coming out at once, all rushing to catch up. Birds are shouting as they build their nests, chickens have gone feral, wandering nonchalantly through fields oblivious to the danger of becoming Reynard’s tea. 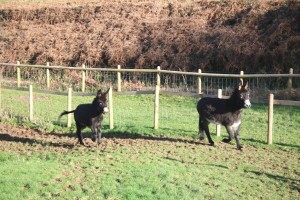 Donkeys canter off delinquently across Sunday Orchard kicking their heels and eeyoring delightedly. 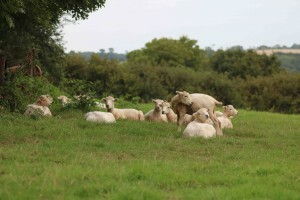 Lambs are getting tubby feeding greedily on lush new grass, suddenly greening up at last. At last, at last everything seems to be catching up. As a strange cold, wet spring edges us towards summer I find myself looking anxiously at the garden. 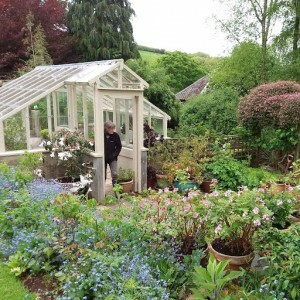 In a few weeks’ time we will be opening for our tenth year in aid of the National Garden Scheme Nursing Charities. What will still be in flower, I wonder, looking at the chaotic cacophony of colour this strange year has already yielded; what will June bring? Pausing for a few moments between liberating pelargoniums from the greenhouse at last and bravely planting out beans and dahlias, praying the while that all frost is indeed behind us, I found some old photographs: a sharp reminder of how things were when we arrived in the valley in 1982. How the garden has evolved over the years. First, of course, we mended the house, next it was time for garden restoration. As we cleared and dug, chopped and cleared, the basic structure, long forgotten, began to re-emerge. Someone at some time had cherished it. But, by the time we arrived it had been unloved for many years. Farming had taken precedence. As we worked, down fell the derelict old green houses, broken glass threatening to chop off our heads. Down came the great tin tractor shed, in went the pond, out went the fencing made of gas stove and corrugated tin. In went banks of shrubs, out went broken outhouses and bindweed and dead trees. 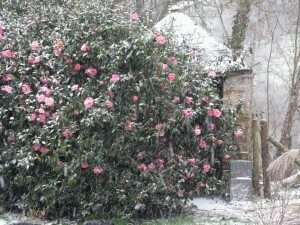 In went roses and camellias, beech hedges. Up popped swathes of bulbs and wild flowers. Stifled for years beneath the undergrowth, they took their chance to break free at last. Slowly, slowly a garden began to return once more to the valley. As we worked so a framework seemed to appear. We tried to follow its pattern. We planted trees, built retaining walls, levelled lawns, restored the barns and made a vegetable garden. Over the years it has evolved, grown and matured. 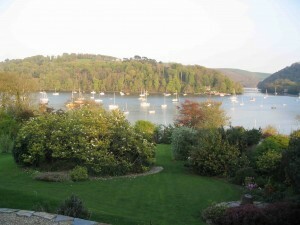 One day, some ten years ago now, the Devon County Organiser of National Garden Scheme came to tea with a friend of mine. She suggested we might like to open the garden for charity. But “Weed, weed, weed” she said and I’ve been weeding ever since……..
1982-2018 from Paul Vincent on Vimeo. 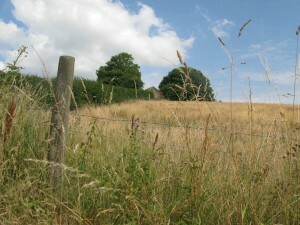 Warm sunshine for the first time for months: birds singing, butterflies appearing, lambs playing in warm green fields. We so nearly lost faith in spring. But even now after such a strange cold winter, I do still wonder if the warmth will really last; the forecast is ominous. 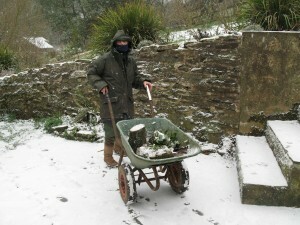 Thick snow in Devon in March shocked and bewildered us all; a constant topic of conversation all over the county. Rain and mud followed snow. Fog, sea mist, endless grey days fell one upon another. Little Whiteface lambs arrived in the wet, almost immediately they turned brown as they suckled their muddy mothers then played in the muddy fields. Suddenly all has changed. New grass is growing, celandine carpet the fields and orchard. Daffodils sing in the sun. 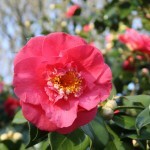 Frosted brown camellias are replaced by blousy blooms of pink and red; Forget-me-not’s outline the world in blue. And the birds are shouting their heads off, building nests at last. I counted six swans on the creek today; usually we just have one pair. Slowly water is draining off the high ground. Feet stay in boots as we trudge across the fields. The stream rages through the valley catching water as it runs off the hills. And lambing is finished. 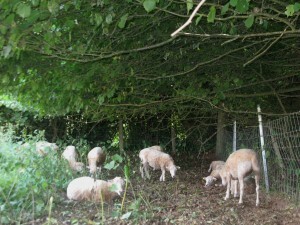 Hercule has done a wonderful job siring strong, tough little lambs and many sets of twins. 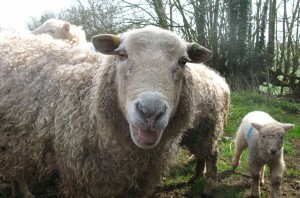 A big, handsome pedigree Whiteface Dartmoor boy, he joined the flock a little late last autumn. Spring 18 from Paul Vincent on Vimeo. 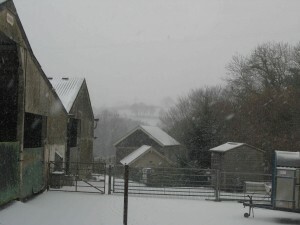 March 1st and heavy snow has been falling now for forty eight hours and shows no sign of stopping any time soon. I can’t quite believe my eyes; so unusual in Devon and Cornwall. The last time we had anything like this in the valley was in the 1980’s. 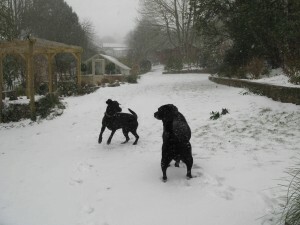 The whole of Briton is gripped by ice and snow. 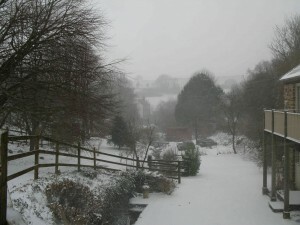 Red and amber weather warnings, grid locked motorways, trains and planes cancelled, countrywide chaos. And now Storm Emma joins in with gale force winds, whipping snowflakes into a frenzied dance and building huge drifts everywhere. My footsteps seem to vanish behind me as I walk from the farmyard. This morning I brought the rams down from the top fields to the small paddock near the yard to find a little grass. I hope I will be able to feed them easily there despite the weather. It was so wild that for once dogs and I didn’t walk up the hill to feed the ewes and yearlings. Instead Paul crept up in the big old Lamborghini tractor with oats and hay. There is still some grass up there but as lambing approaches they need a daily supplement. Fortunately we bought a large quantity of oats in the autumn from a neighbouring farmer; just as well as all the farm stores in south Devon have run out of beet shreds at this critical time. 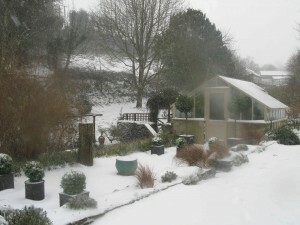 The garden is suspended in monochrome; surrounding hills vanish in a misty blur of snowflakes. Water crashes down the stream between frozen vegetation. 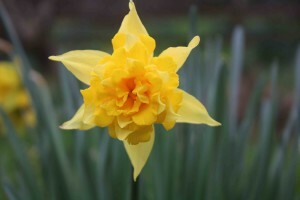 Crisp, collapsed daffodils fill the orchard, a sad sight, petrified and flattened. 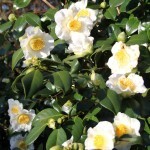 Camellias marching us so joyfully into spring, are turning brown before my eyes. The pond is frozen. I wonder if my newly gifted goldfish will survive. 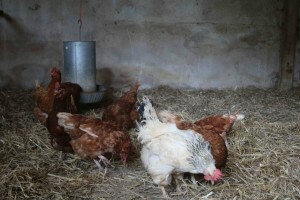 Donkeys hunker down in their big shed and chickens stay in their barn. Even Milly put her nose out of the back door this afternoon and quickly retreated to her basket again! Mr Porter, an old timer, didn’t stir from his! 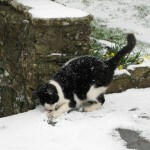 Only the cat saw fit to play with snowflakes for a while. We wake to a white landscape and howling gale. No footprints in the snow up to the yard. No tyre marks on the lane past the gate, no postman, no refuse collection. 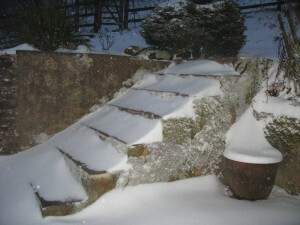 Snow has stopped falling. All is grey and silent but for the eerie whistle of the relentless wind. 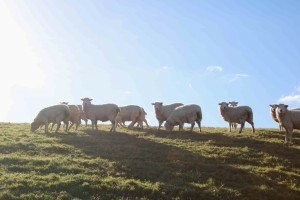 We trudge once more to the yard in the early light, dogs following this time, dancing in the strange white dust which has thickly disappeared their familiar green landscape. 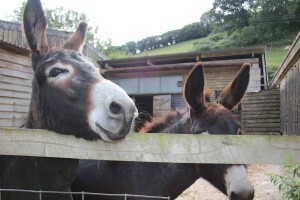 Donkey’s eeyore loudly at their gate. Nutmeg bites my sleeve as I go to fetch their breakfast: what is this stuff, what’s going on? Paul sets off once more in the tractor to feed ewes up the hill. I feed the ram lambs. The wind whips up snow, takes the oats and blows them away. Sheep stare at me and old Larry sounds his usual insistent, moaning baa. I must find a trough and feed them again! 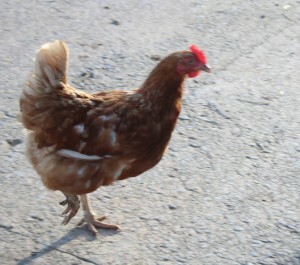 Chickens fed, Milly and I trudge through Sunday Orchard to the quarry to wait for the tractor to re-appear. Nothing happens; we wait. Puzzled we climb the hill. The snow gets deeper and deeper till it’s over my boots. There is the old Lambo in a snow drift: snow so deep the gate will not open despite our best efforts. Southerners unused to this weather, we forgot to take a shovel! Ewes fed now, the only way home is backwards all the way down the track to a small turning space. “Thank goodness for a vine gear” says Paul when he reaches the quarry. The old Italian was designed to have a special low gear for grape harvesting which enabled it to travel so slowly the pickers could walk behind and load the grapes. Home at last we warm up with cups of coffee and busy ourselves with indoor tasks till it’s time to go up to the yard and feed again. We watch the sky darken. The forecast says sleet at four o’clock but alas, it is snow! Housebound my thoughts turn to food, of course. A trawl into the deepfreeze reveals a forgotten pheasant bought from the butcher a few weeks ago. Gone are the days of a well hung pheasant from a local shoot. Now they are bought in by butchers and supermarkets alike, from huge commercial shoots. Once defrosted, this one doesn’t look too great; only partially gutted and badly damaged, poor little bird, obviously not a clean shot! I complete the gutting before thoroughly rinsing all traces of blood away under cold water to avoid it rendering the meat bitter during cooking. It is important to be very vigilant whilst doing this to avoid contamination to other food. I pat it dry and wrap each piece in a rasher of streaky bacon which I first stretch with the back of a knife. This will make it shrink tight round the meat as it cooks. I add a little olive oil, some stock and a dash of white wine to the roasting dish as well as couple of cloves of garlic and some small slices of chorizo sausage. Covered with foil it goes into the oven for about 25 to 30 minutes. Once cooked, I take the pheasant from the pan, keep it warm and let it rest. I make a little sauce with a teaspoon of cornflour stirred into some stock, a dash of crème fraiche and salt and pepper. With potato and celeriac mash and a few garlic mushrooms it certainly cheers up the poor old bird! rainingswys.1.2 from Paul Vincent on Vimeo.